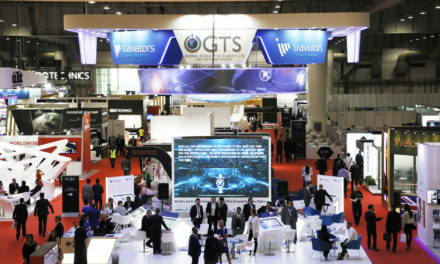 The 2017 edition of the National Business Aviation Association trade show that was held on October 10-12 in Las Vegas, Nevada, proved to be relatively calm, just like the market. There were few announcements made by manufacturers, major players and engine makers at this event held annually in the United States. In part a vibrant tribute to the victims of the attack that happened only around ten days before just steps away from the convention center where the 70th edition of the NBAA was held. This difficult context following the tragedy only added to a lackluster event that will remain one of the least noteworthy in recent years. Far from observing business recovery, manufacturers and market players are still struggling to find areas of growth and even more trouble determining the market outlook. As such, the annual forecasts published by Honeywell point to a downward trend for the coming ten years compared with the 2016 forecast. The manufacturer expects the delivery of 8,300 new business jets worth $249 billion in the next decade, down 3% from estimates made last year. In addition, Honeywell reported that deliveries were also down in 2017, with between 620 and 640 aircraft delivered by the end of 2017, a decrease of 30 aircraft from 2016. This downturn falls within the continuation of the moderate decline in 2016 that Honeywell largely attributes to slowing orders for aircraft models reaching maturity and the transition towards new models expected for the end of 2017 and in 2018. Buyers therefore expect on average a renewal of up to 19% of their fleet, i.e. 8% less than forecasts after the 2016 survey. 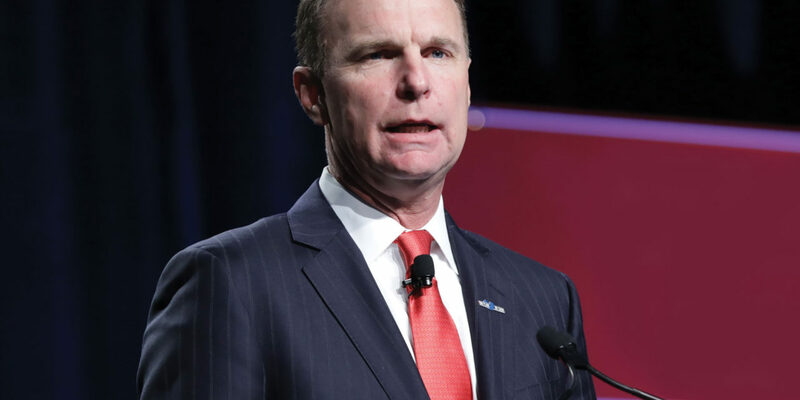 For Honeywell president, Ben Driggs, “Declining used aircraft prices, continued low commodities prices, and economic and political uncertainties in many business jet markets remain as near-term concerns for new jet purchases, leading to a modest growth in 2018”. Over the past decade, the used aircraft market has remained one of the biggest obstacles to the purchase of new aircraft and fleet renewal. Despite a 7% year-on-year improvement on the overall inventory level, requested prices continue to fall across the board and especially for mid-range and high-end jets. The balance still remains fragile despite a relative improvement to be expected with plans to acquire second-hand business jets revised upwards for certain operators. The 2017 NBAA will undoubtedly remain a bad memory for Dassault, after having learned about yet another issue on the Silvercrest engine shortly before the event leading once again to a delay in the program. 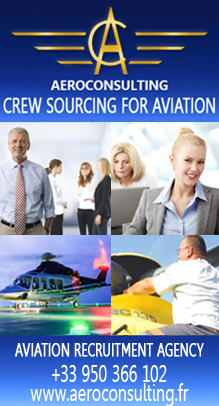 Eric Trappier, Chairman and CEO of Dassault Aviation stated at the time of the announcement to be “trying to keep all our options open”. Since that time, the end of the Falcon 5X program was announced in December (see our article in this edition: “Dassault bids farewell to the Falcon 5X”). Despite these setbacks, Dassault can still congratulate itself on its worldwide success with the Falcon 8X and especially with recent deliveries in China and Russia. Since its entry into service in 2016, the trijet has been delivered to clients across the United States, Europe, Russia, South America, the Middle East and Asia. With its strong potential, Dassault developed this derivative of the Falcon 8X in recent months by integrating the FalconEye combined vision system, the FalconSphere II electronic suite, which helps save time for flight preparation and management as well as the entry into service of the high-speed Ka band connectivity system. With the expansion of its fleet, the French aircraft manufacturer has also endeavored to boost its customer service by developing new facilities with the announcement that it is building a new service center. 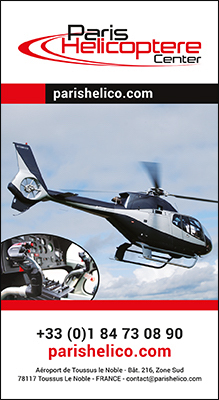 This 18,000 m² facility will be located in the north of Paris between the Charles de Gaulle and Le Bourget airports. The complex which is expected to open by the end of 2018 will replace the current facilities in Le Bourget and will support the Teterboro center in New Jersey. The US aircraft manufacturer came out strong with two recent models, the G500 equipped with a pre-series interior as well as one of the five G600 currently in the development phase. 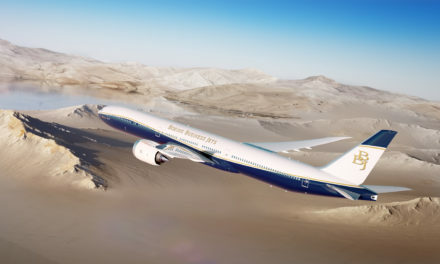 The aircraft manufacturer took advantage of the event to announce that the performance of the two aircraft had been revised upwards after various tests. Good news for future buyers and giving the G500 a range of 5,200 nm (9,630 km) compared to 5,000 previously and a 300 nm increase for the G600 giving it a range of 6,500 nm (11,482 km). To demonstrate these new performance figures, Gulfstream flew a fully-fitted G500 and set a potential city-to-city record between London and Las Vegas. 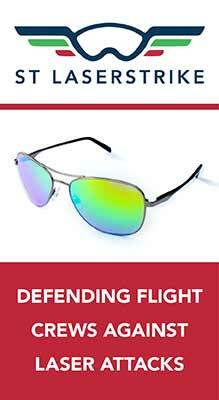 The 4,690 nm (8,686 km) flight was made at an average speed of Mach 0.88 with headwinds of 32 knots. This record is pending confirmation from the National Aeronautic Association. Bombardier presented for the first time its Global 7000, which happened to be its fourth prototype. The FTV4 is therefore the first 7000 to be presented at a public event. Dubbed the “Architect”, the aircraft is also the first of the program’s prototype to be equipped with a completed cabin interior. In addition to being used for presentation to potential clients, this twinjet will help validate the passenger experience especially concerning the cabin management system and the use of the four living spaces as well as the front crew area. The presence of the prototype also provided the occasion for an update on the full program. Bombardier stated that the first eight series aircraft are being assembled and that their interior production activities are ramping up. With the progress of the program that has already racked up 900 flight hours and the arrival of the fifth prototype, the Canadian aircraft manufacturer can expect the Global 7000 to enter into service by mid-2018. Drawing on the progress of its Global 7000 and 8000 program and the complete overhaul of its strategy over the past two years, Bombardier presented during the NBAA a new cabin concept for its Global 5000 and 6000 directly inspired from the Global 7000. 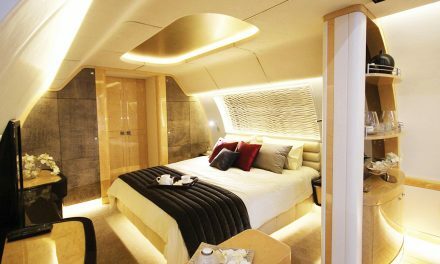 Aimed at reviving sales of its two aircraft pending the arrival of the 7000 and 8000 versions, Bombardier redesigned the interiors of these two current high-end aircraft for a more contemporary upgrade. The design was entirely redesigned with a streamlined interior directly inspired from the current Global program. Aside from the design aspect, Bombardier now offers a new cabin management system that can be controlled from a tablet or smart phone and a wireless Ka-band connectivity system. Like the Phenom 100E launched in 2014, Embraer presented an “Enhanced” version of its Phenom 300. This upgraded version of the aircraft which is helping the Brazilian aircraft manufacturer flourish on the business aviation market, features an entirely-redesigned interior equipped with a “Nice” cabin management system developed by Lufthansa Technik. The interior design of the light business jet, with more than 400 jets sold around the world, is inspired by the Legacy 450 and 500 family. It includes new seating ergonomics featuring larger seatbacks as well as new lateral and ceiling panels for better interaction with cabin management controls. With these new features, Embraer is counting on giving its twinjet a second life when this new version officially hits the market in the first quarter of 2018. One of the undisputed stars of this trade show remains yet again the Pilatus PC-24. 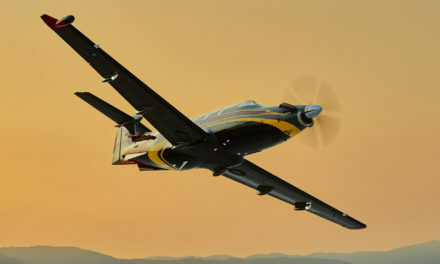 The Swiss aircraft manufacturer is heavily counting on the North American market for the commercial success of its first jet, just like with its single-engine turboprop, the PC-12. The first aircraft intended for this market will be delivered to PlaneSense, a well-known historic client in the region. The operator has a fleet of 35 PC-12 under shared ownership and has purchased six PC-24. In addition to this announcement, Pilatus also provided an update on the progress of its program with over 2,000 flights completed by the three prototypes that resulted in the aircraft certification by authorities in December. 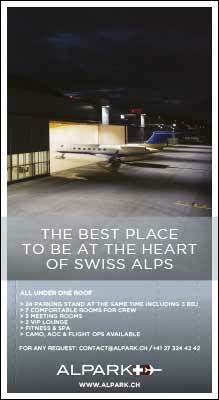 Launched in 2013, the twinjet has already racked up 84 firm orders and three years of production for Pilatus. A figure that is expected to rise throughout 2018 and especially during the next EBACE trade show. Stratos Aircraft presented its Stratos 714 for the first time on the static display. Launched in 2009 this small jet capable of transporting 6 people may once again be the talk of the market. With the first prototype having completed 44 flights since its first flight in November 2016, Stratos Aircraft took advantage of the NBAA to start looking for new investors. The aircraft manufacturer is looking to raise over $100 million in order to finalize its program and bring to the market its aircraft powered by a Stratos Aircraft Pratt & Whitney Canada JT15D-5 engine. While Stratos seeks out investors, it stated that it had also started to build a second prototype within its Redmond facility in Oregon. The entity expects this aircraft to leave the factory in mid-2018. However, it still needs to convince the market. Especially since the aircraft that is expected to fly at 400 kt with a range of 1,500 nm (2,780 km) has already come up against direct competition, Cirrus’ Vision Jet, the only aircraft of this type on the market. Until then we will have to wait and see. In light of increased competition from Boeing and paradoxically from Bombardier with its Global 7000/8000 program, Airbus is trying to gain the upper hand in this specific business aviation market with the ACJ Neo versions in its catalog. The European aircraft manufacturer announced during the Las Vegas event the sale of an ACJ319neo to an Asian customer. This new contract is the ninth signed for the ACJ320neo family launched in 2015. Comlux Completion reported during the trade show that it had received a completion contract for the first BBJ MAX 8. The aircraft, whose owner was not disclosed, will arrive at the workshop in Comlux’s Indianapolis facilities in the fourth quarter of 2018 with delivery expected for the fall of 2019. PreviousDassault calls off the Falcon 5X program. NextLamborghini Terzo Millenio: a vision of the future.